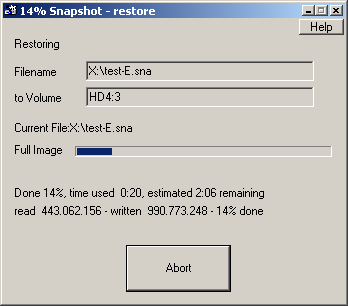 If you see this dialog, the restore has begun. Usually, all data on the drive have been destroyed, and the drive will not be in a consistent state, until the restore has finished. So don't abort the restore, unless you really know what you are doing. After the restore, the drive will be available immediately to use - in the exact state it was at a former time.